Weaponiser follows a slightly different update path than other Krotos products. Instead of downloading an installer directly from the plugin, Weaponiser users will need to log in to their account at krotosaudio.com and download the latest installer. 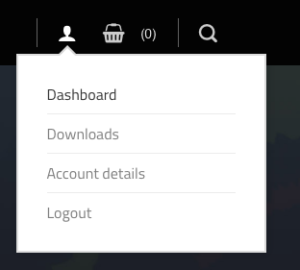 When you have logged in, simply enter your account preferences by clicking on the ‘User’ icon in the top right-hand corner of the screen. From the dropdown, click on ‘Downloads’. From here you will see all the Krotos products you own or have downloaded. Under Weaponiser Basic or Fully Loaded, you will find a link to the latest installer. Click the black box on the right-hand side to download. Run the installer, which will overwrite the previous version of Weaponiser and add any additional assets or presets to the Factory Assets folder, ready to use. If you purchased Weaponiser from a reseller (or any provider/distributor, and not from krotosaudio.com), you can register your product once you have logged in. When you are logged it, go to your Dahsboard, and click on ‘Register Product'(on the bottom left-hand side of the page, when you have logged in). Enter the product you have purchased, which reseller you purchased from, and your iLok ID. We will run a quick check on this info, and if it is correct, the product will be added to your ‘Downloads’. Use the menu on the right-hand side to find your downloads, and get the latest version of Weaponiser. If your product does not appear in the downloads section for whatever reason, please try to register it first, before contacting support. If you have any other issues, or cannot access the latest version from your account, please contact support@krotosaudio.com. When a new version is available, you will see a popup window appear in your plugin. Clicking on ‘Download’ will download a text file of instructions, describing the process above.